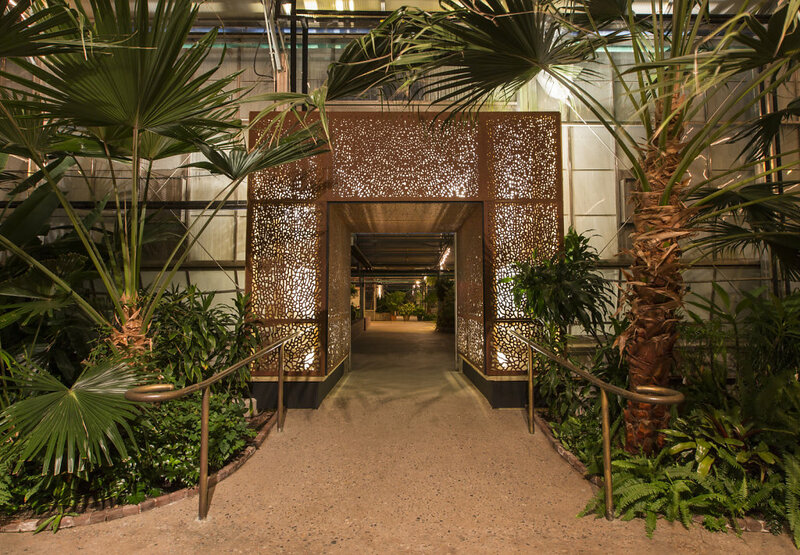 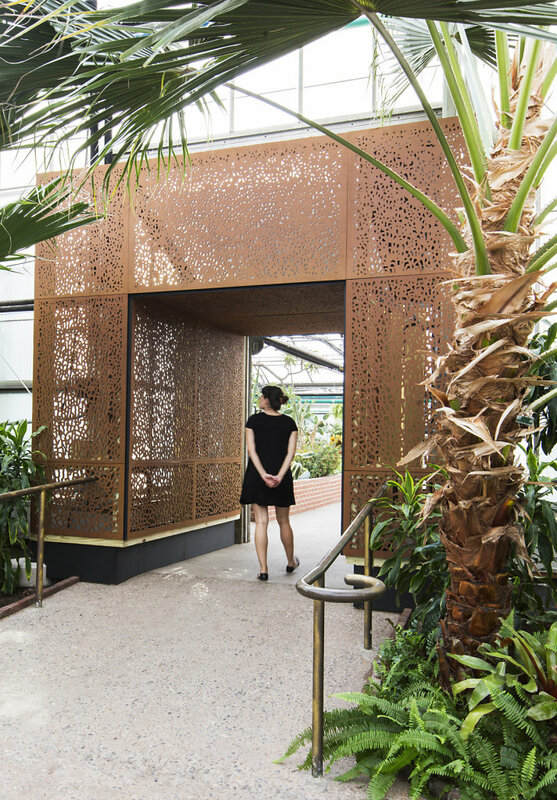 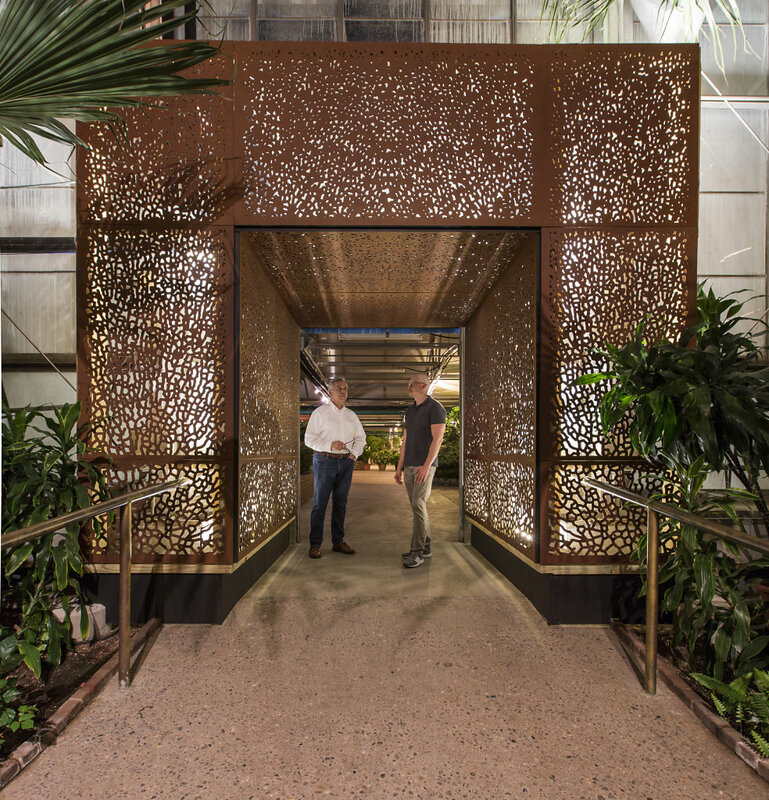 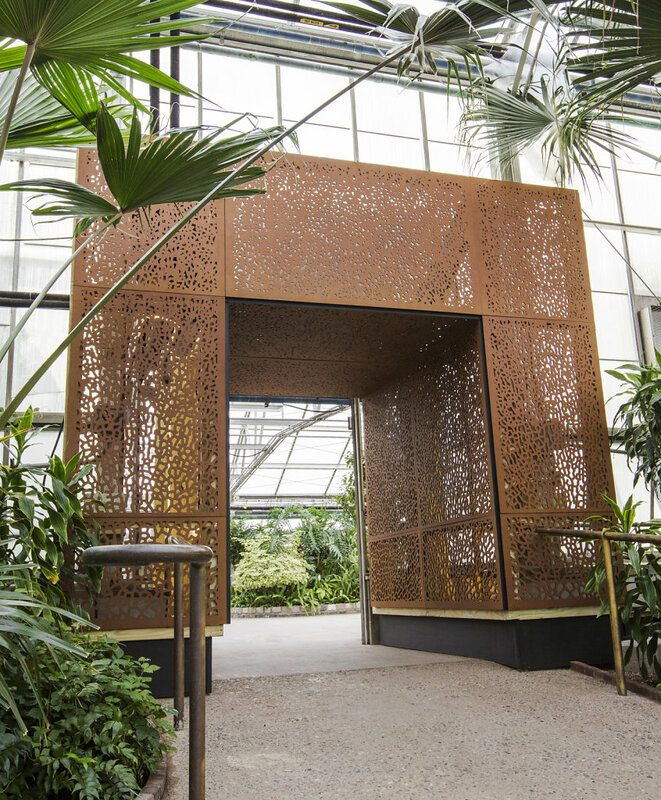 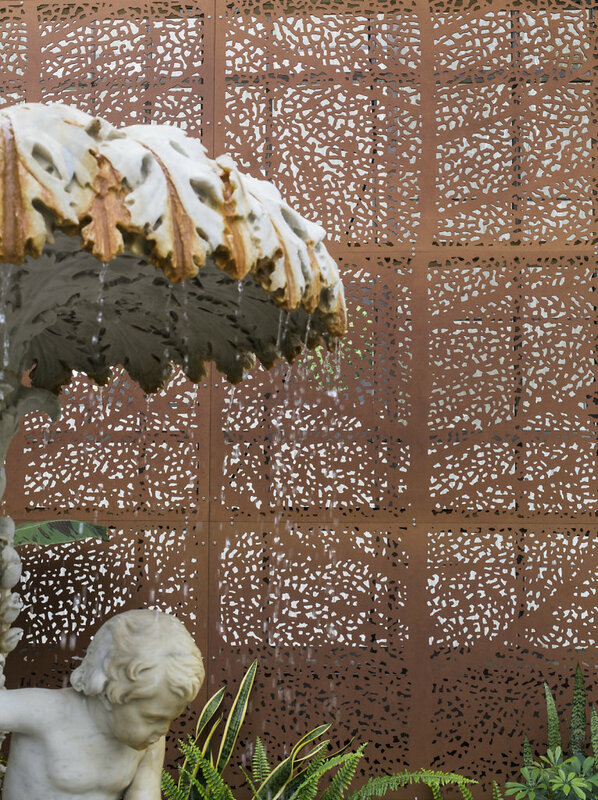 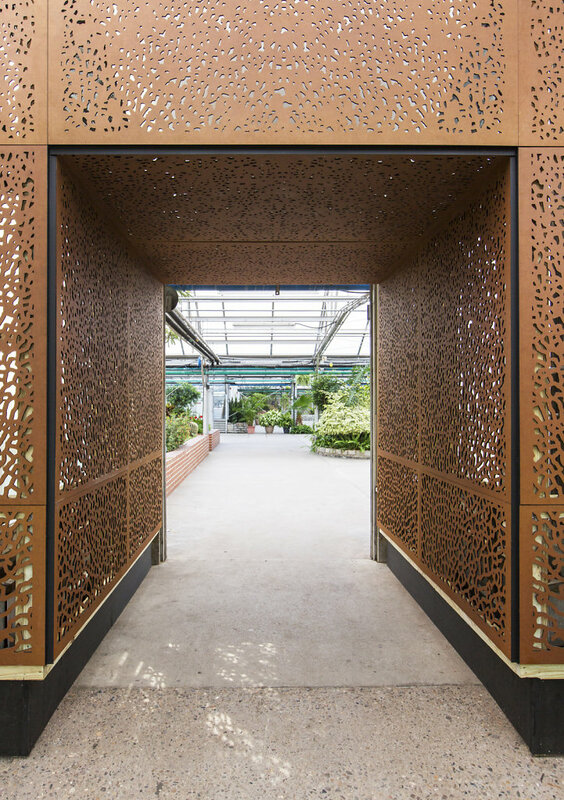 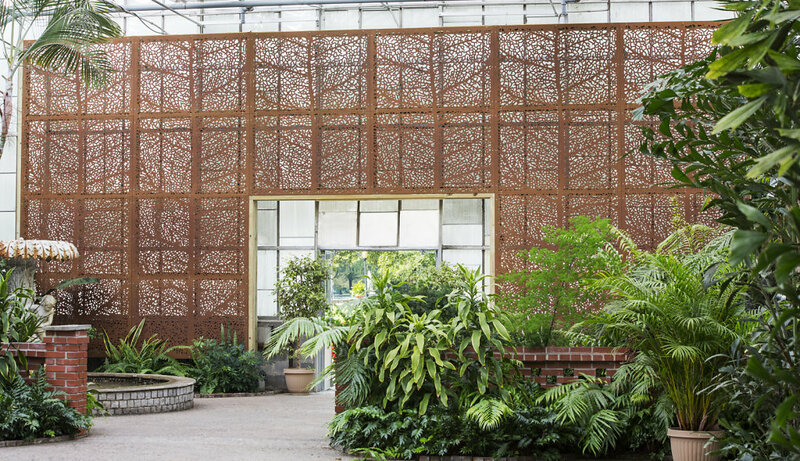 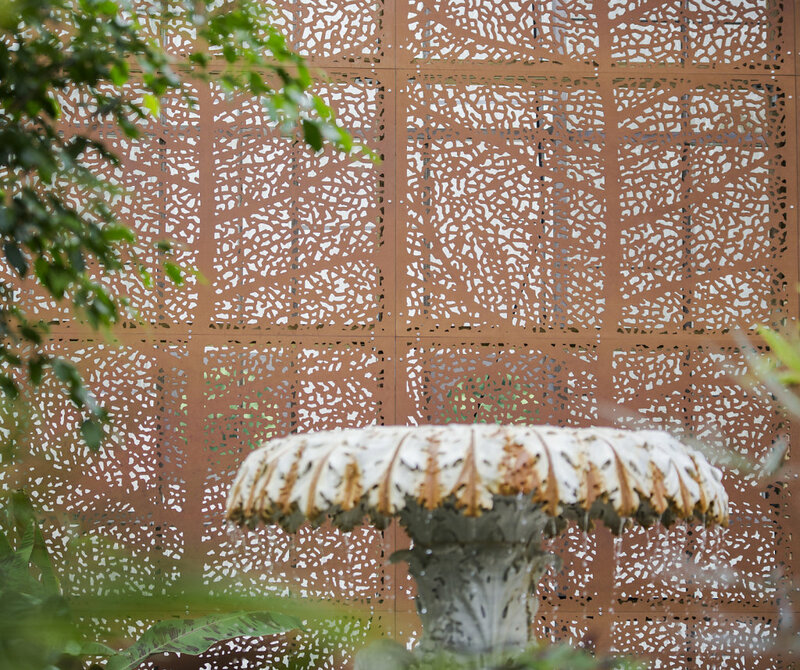 We designed an intricate, leaf-inspired pattern to clad a greenhouse in Philadelphia, PA. 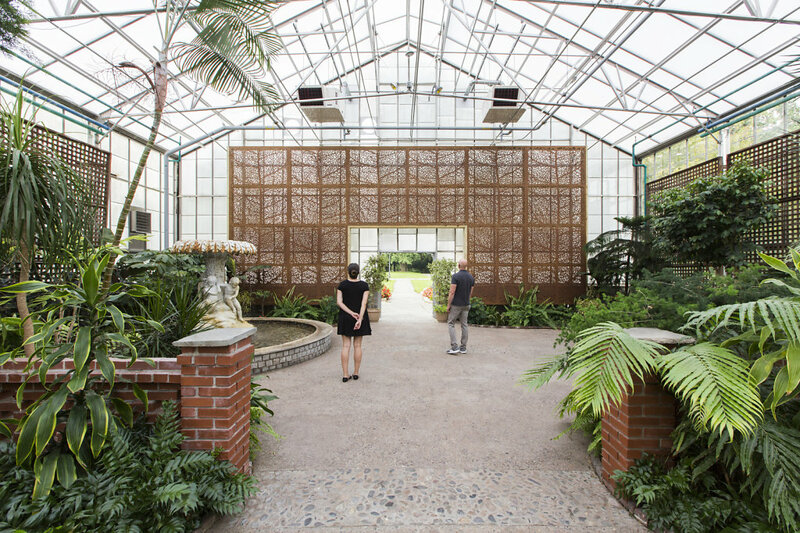 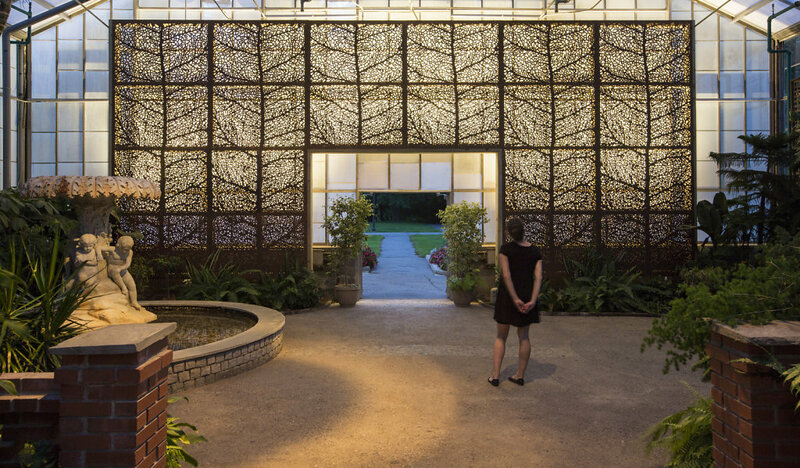 The work was commissioned by SMP Architects who are renovating the Horticultural Center at Fairmount Park. 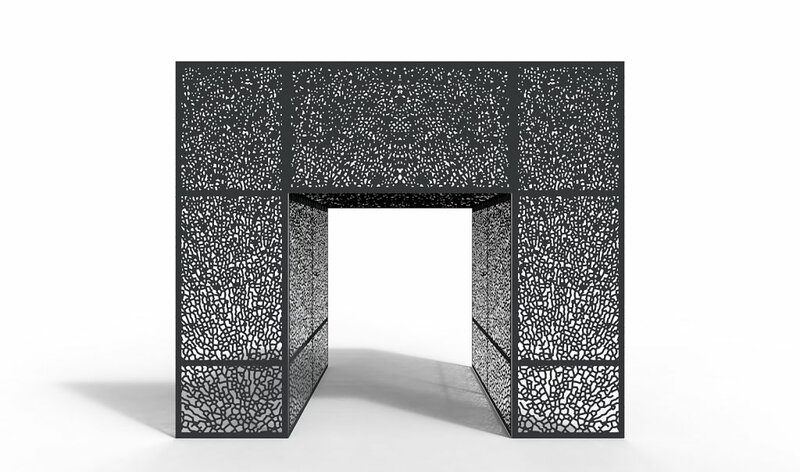 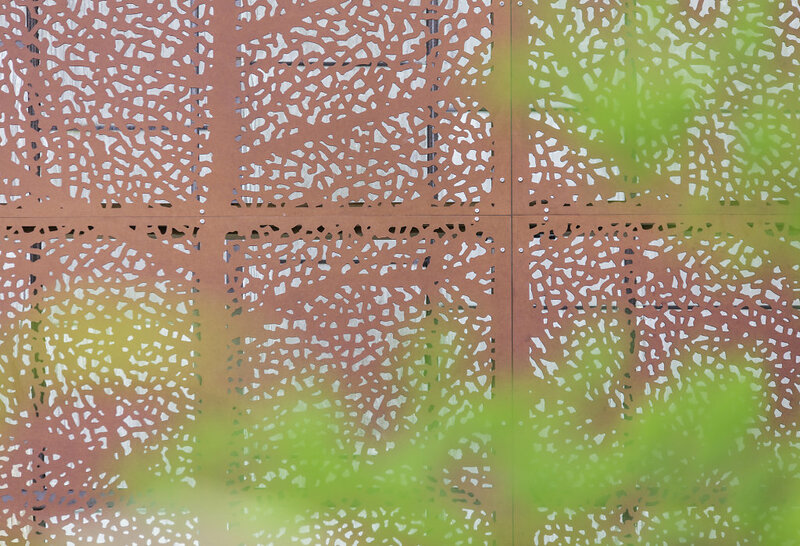 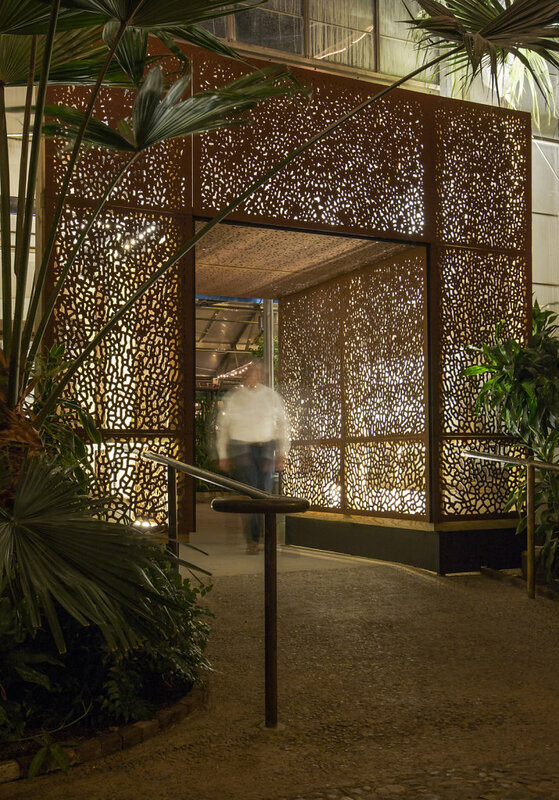 The patterns will be used to create a perforated facade for the building, that functions both as a shade and a trellis. 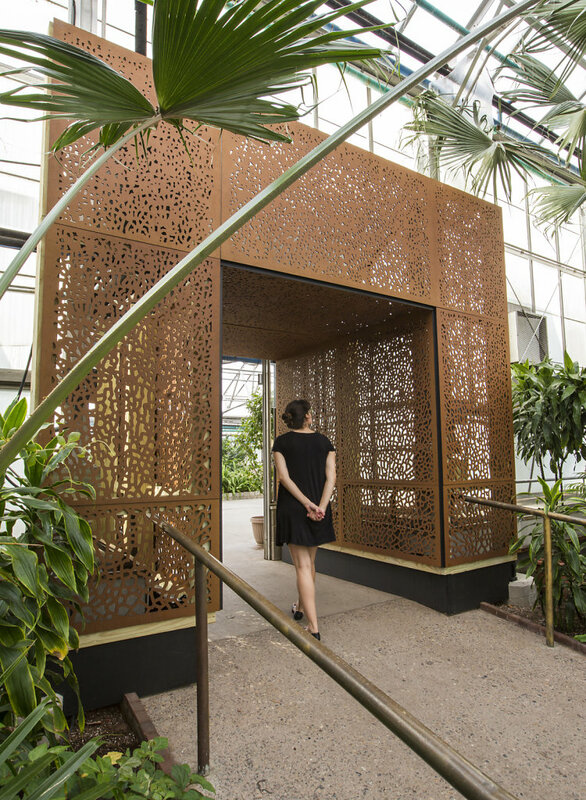 A botanical garden is a fitting setting for our work, and we are intrigued by the idea that the structure will gradually be overgrown by climbing plants. 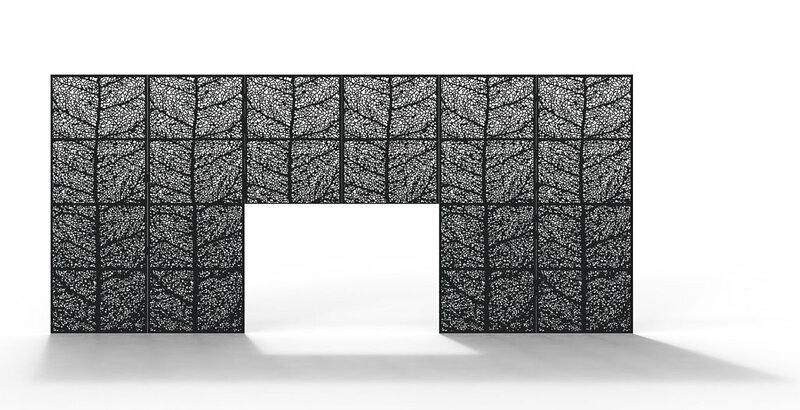 We also created another set of screens for a vestibule in the building. 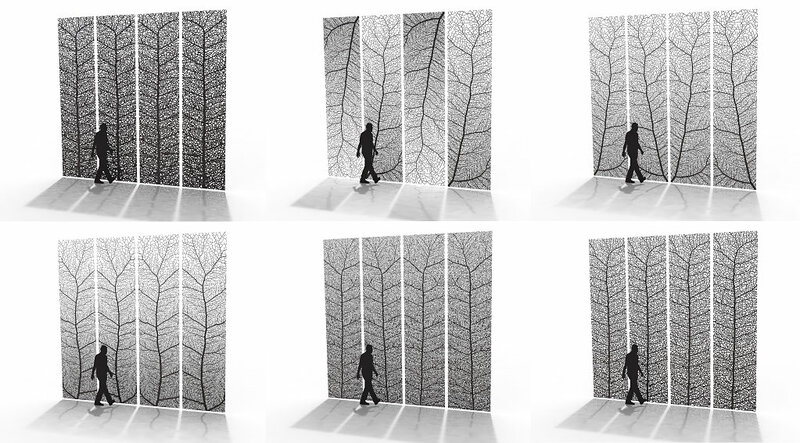 We generated the patterns with our Xylem software which is based on how veins form in leaves. 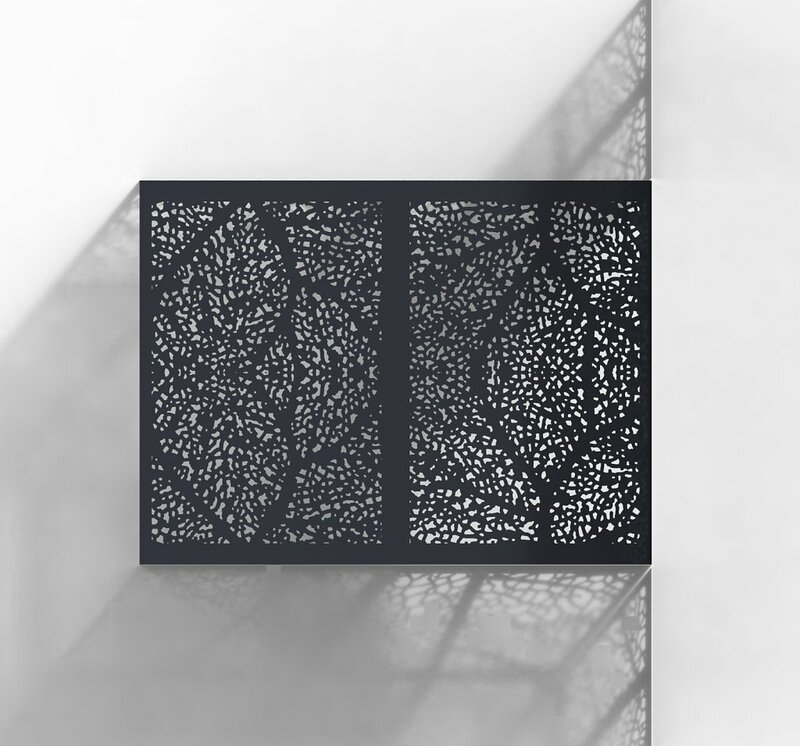 The main design constraint was that the client wanted a pattern that varied gradually in density and would be suitable for laser cutting in plywood.